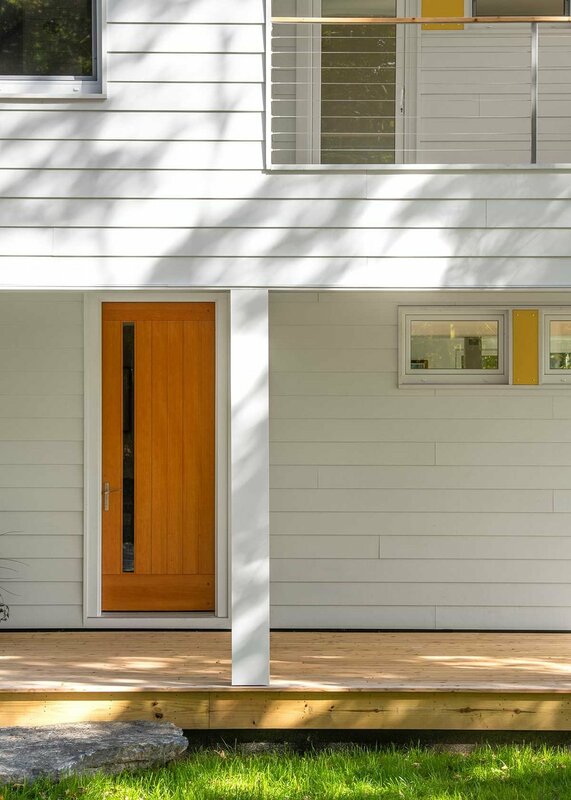 Our projects range from remodels to new construction. Our goal is to educate our customers on all green building and construction applications. 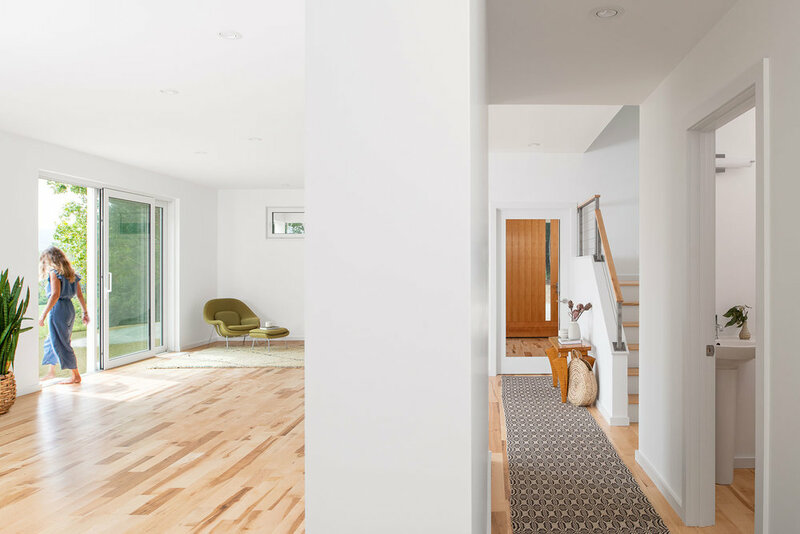 Located in Hinesburg, Vermont, this Modern Farm Home, designed by TruexCullins, overlooks Hogback Mountain and features 2,400 square feet of Net Zero living space. 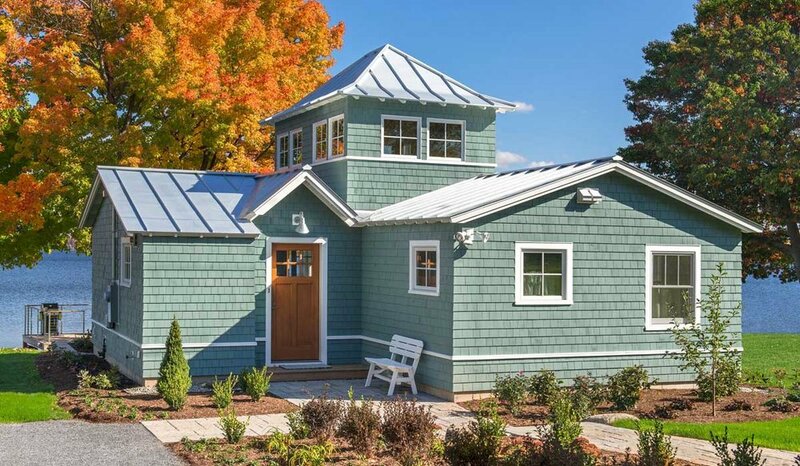 The low maintenance exterior includes cement siding and a standing seam roof with large overhangs. The honed granite countertops, painted maple cabinets and cable rail with maple hand rail caps all yield a simple yet robust finish. This is a home meant to last the test of time. R40 walls, R70 roof, 23kw solar array, feeding back to the grid. Heating and cooling with Mitsubishi hyper heat pumps exclusively. 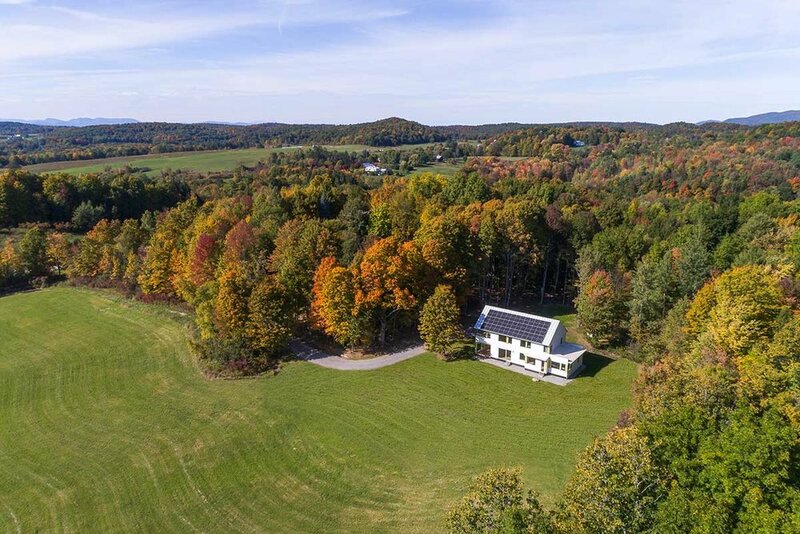 Located in South Hero, Vermont, this 1,000 sq. foot lakeside contemporary home, with a modern flare, meets the needs of one looking for retirement & easy living. The construction represents high-level detailed finish using natural wood, polished cement, open steel stairs with red birch treads and a cable rail exterior/interior. The Lakeside Home below located in South Hero, Vermont was designed by TruexCullins and photographed by BlackBullet. 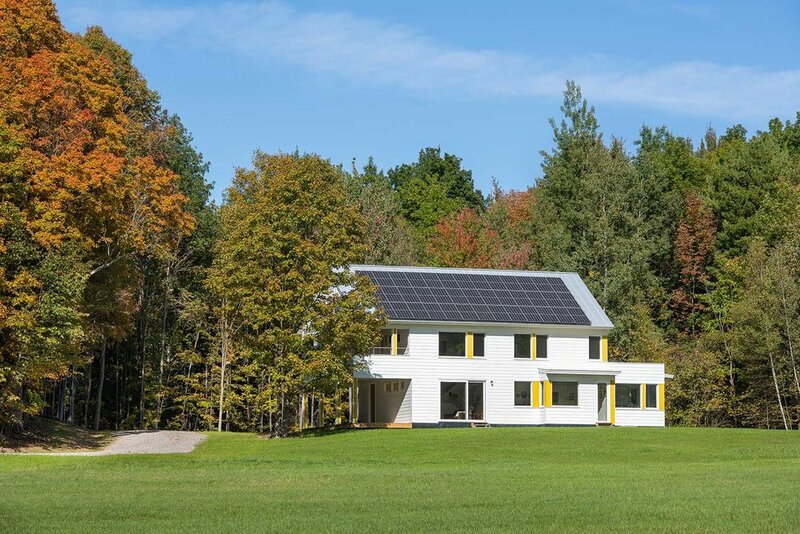 The Modern Farm Home below located in Jericho, Vermont was designed by TruexCullins and photographed by Jim Westphalen.